Ted Kennedy Jr., whose famous name has made him the subject of speculation for higher office since his election to the state Senate in 2014, issued an 84-word statement Monday ruling out a run in Connecticut’s open race for governor or any other statewide office in 2018. Kennedy, 55, who lost a leg to bone cancer when he was 12, was elected chairman two weeks ago of the American Association of People with Disabilities, a group that sees the disability rights movement at a turning point nationally. His statement on accepting the post seemed a signal he would step back from a race for governor. Kennedy, a Democrat who lives in the coastal community of Branford with his wife, Kiki, a Yale psychiatrist and environmental activist, and their two children, represents a district of six suburban and rural communities outside New Haven. His brother, Patrick, was elected to the Rhode Island legislature at 21 and to Congress at 27. His father, who died in 2009 at age 77 after more than four decades in the U.S. Senate, had urged him many times to run for Congress, beginning when Ted Jr. was a 23-year-old living in Massachusetts. 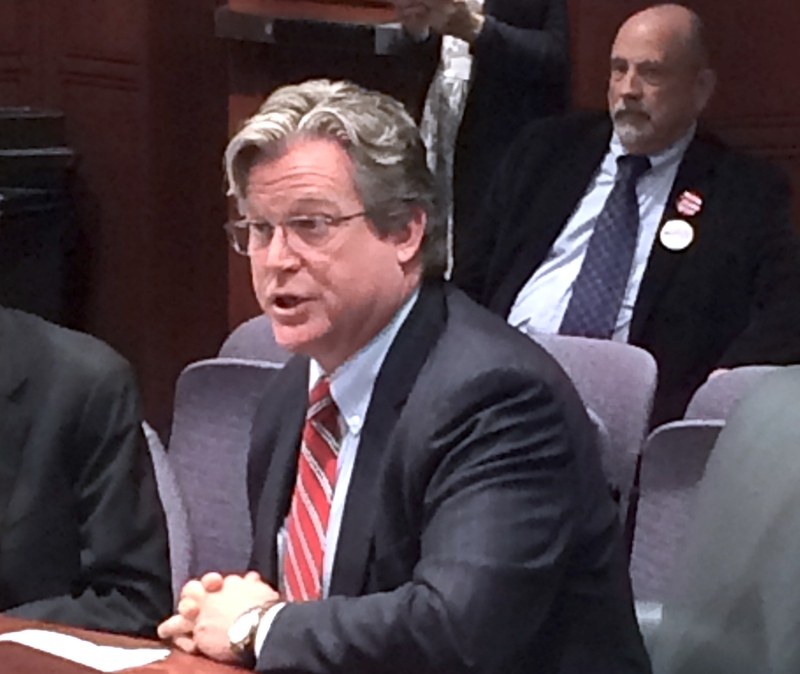 Kennedy waited until he was 52 to announce for the part-time Connecticut General Assembly, where his committee assignments include being co-chair of the Environment Committee and vice chair of the Public Health Committee. He owns a beach home in Hyannis that once belonged to his uncle, President Kennedy, but most of his adult life has been spent in Connecticut. The potential Democratic field to succeed Gov. Dannel P. Malloy, a Democrat who is not seeking a third term, is seen as wide open. Five Democrats are raising money through exploratory committees for potential campaigns for governor: Comptroller Kevin P. Lembo, Middletown Mayor Dan Drew, Bridgeport Mayor Joseph P. Ganim, Chris Mattei and Jonathan Harris. Lt. Gov. Nancy Wyman has yet to say if she will run. At least eight Republicans have formed either candidate or exploratory committees in preparation for potential gubernatorial runs: Danbury Mayor Mark Boughton, Trumbull First Selectman Tim Herbst, Shelton Mayor Mark Lauretti, state Rep. Prasad Srinivasan, Peter Lumaj, Steve Obsitnik and Joe Visconti.